Are you on Crafter's Companion email list? Well I am, and this month they are having a contest for "Crafting for Men". Also in their newsletter were 4 FREE papers and embellies that I immediately downloaded to my Silhouette Cameo. I have used two of the papers on this card...sweet! 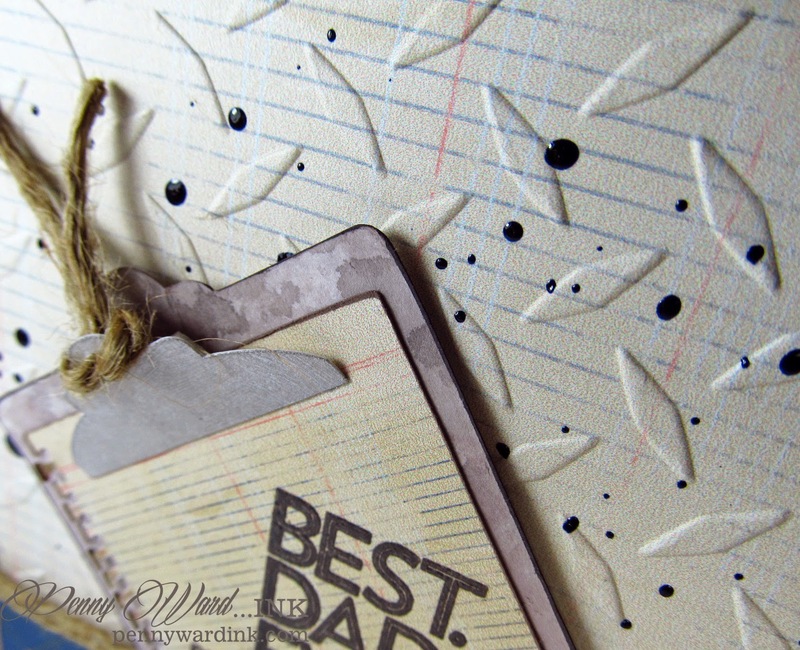 I also embossed the top part of the card with a Diamond Plate folder (Darice). I cut the clipboard with my Silhouette Cameo, then inked with Memento Luxe Rich Cocoa and Espresso Truffle, clamp is inked with Delicata Silvery Shimmer (Imagine Crafts/Tsukineko). This is an awesome card! I wish I had a Cameo. Love Love the clipboard. Also liked the irRESISTible - a nice touch. 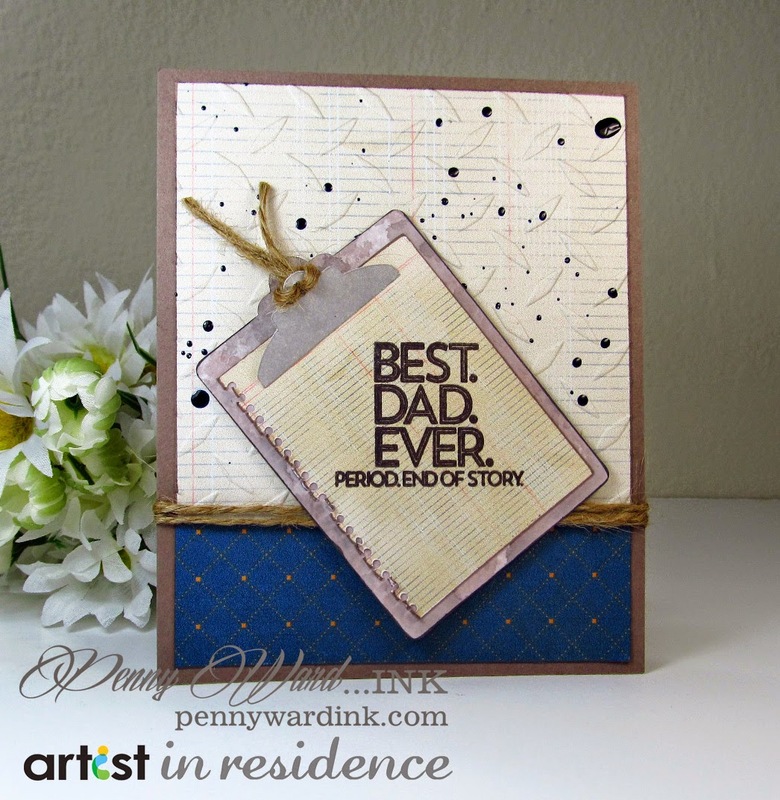 A very handsome card - very fit for the very best dad ever!! Thanks for sharing how you added the details to it! !